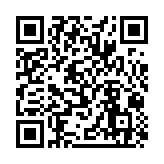 Please scan the QR code to register for this screening. Lucía travels to Valparaíso, Chile, to look for the mother she has never met after receiving a letter from her. Once she arrives at the alleged meeting point, she finds no trace of her mother and decides to keep looking for her.